Aluminum Shelters - UsedShelter.com - Used Telecom Shelters & Cabinets for surplus/bargain prices! 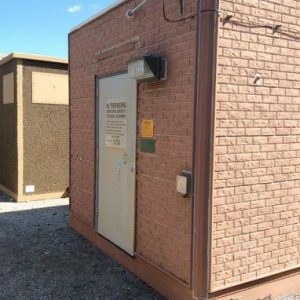 UsedShelter.com – Used Telecom Shelters & Cabinets for surplus/bargain prices! Your Source for Used Telecom Shelters, Cabinets and more for surplus/bargain prices! Aluminum is an amazing material – lightweight, corrosion-resistant, strong and durable. Aluminum shelters can be easily transported, put in place, and then deployed to another location. The properties of aluminum provide unique benefits to shelters. 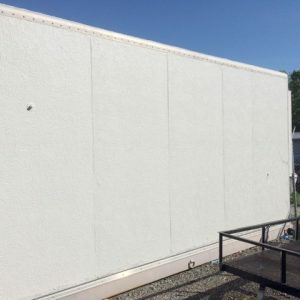 The high heat reflectivity means that aluminum shelters reflect rather than absorb the sun’s infra-red rays; aluminum shelters remain cooler because of this reflective reaction. Because aluminum is considered “acoustically dead” sound waves don’t transmit as freely as they will with other metal structures. Aluminum shelters are found in nearly any environment where equipment and people need shelter. The high portability of aluminum shelters makes them ideal for multiple deployments in military settings. Despite its light weight, aluminum shelters are strong and durable. Their corrosion resistance means that sensitive and valuable equipment will be protected for many years. Aluminum shelters can hold up against high winds, seismic zone 4 conditions, and just about any weather condition. Tower Direct has a selection of aluminum shelters from the most familiar brand name manufacturers. Contact Tower Direct for current aluminum shelter availability, details, and pricing.